The INTEGRAL® pipeline system in ductile cast iron is specially designed for gravity flow and rising main sewage systems. It is composed of pipes of 6, 7 or 8 metres in length with diameters of between 80 and 2000 mm, fittings and accessories. It is the only sewege range allowing a rising main and possessing anchored joints. The INTEGRAL® system also has an associated range of valves. 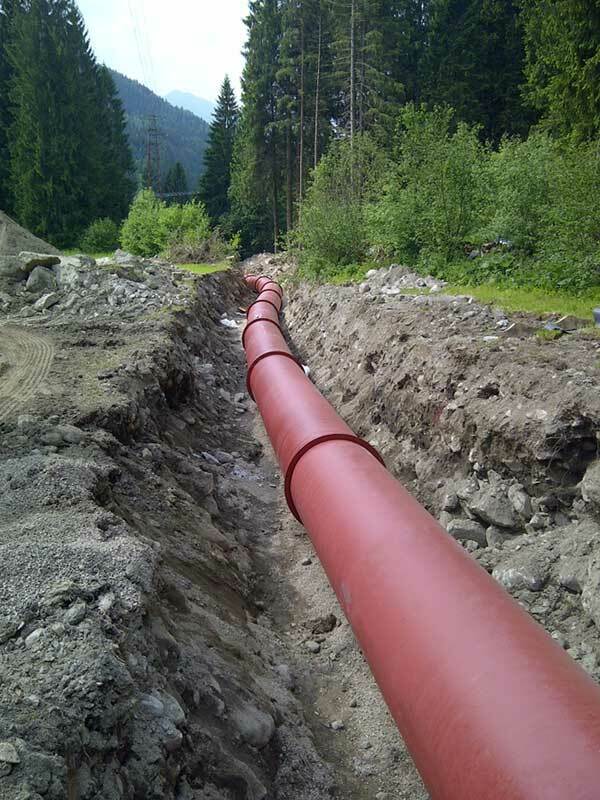 The external coating of ductile cast iron pipelines is composed of metallic zinc or an alloy of zinc and aluminum, followed by a pore sealer in reddish brown synthetic resin. This combination means that INTEGRAL® pipes are non-porous and impermeable. The INTEGRAL® range is suitable for all types of environments and all types of effluent, especially when associated with the other protections offered by Saint­-Gobain PAM UK. INTEGRAL® pipelines, with their STANDARD push-in joints made of Nitrile, make angular deflections possible. The flexibility they bring amounts to a guarantee against ground movement, accidental pressure surges, water hammer or root infestation. INTEGRAL® pipelines can also be equipped with very effective anchoring systems, which combat hydraulic thrust in the case of networks operating with a rising main.